As you may have heard, I launched a new radio show called Make It Last with Victor Medina. It has it’s own website, and you can listen to the show on iTunes if you can’t make it on Saturday mornings at 7:30am on WCTC 1450 AM. Here is a link to the first show. Announcer: Welcome to Make It Last. Helping you keep your legal ducks in a row and your nest egg secure with your host, Victor Medina, an estate planning and elder law attorney and certified financial planner. Victor J. Medina: So welcome to the Make It Last radio show with Victor Medina. I am your host. This is the first show that we’re launching, so I’ve got to tell you I’m excited about it. I’m also a little bit nervous because I’ve been wanting to do a radio show for a little while. I have so much information that I want to share, and the biggest thing about it is that I can’t meet with everybody at the same time. So we’ve been doing presentations across the state, we’ve been doing things where we put out videos, but this is the first opportunity we’re going to be able to give people this information that they can listen to in a radio show and be able to download and go back to past episodes. It’s really going to be fantastic. So before we get started with that, though, I do want to talk a little bit about myself, give you an introduction to who I am and why we’re doing the radio show, a little bit about the experience that I’ve got. And then from there, we’ll launch into the topics for today. So as I said, my name is Victor Medina. I run an estate planning firm, and that firm is located in Pennington, New Jersey. It is the Medina Law Group. Now, I’ve been running that firm for over 10 years, and I’ve been in practice for over 15 years. And in all of that time, my focus is just on estate planning and elder law asset protection. So most people know what estate planning is. Estate planning is, basically, what you do to get your legal ducks in a row so that if something happens to you, if you become incapacitated, if you die unexpectedly or when you die, you have everything set up to make an easy transition from one generation to the next or the easy way to manage your assets if you become incapacitated. The other part, though, about the elder law asset protection; that’s a little bit different. Most people don’t have any experience with a lawyer doing that because most lawyers don’t do it. And for most folks, this is their first time. It’ll be their only time going through a long-term care crisis. So when we talk about elder law asset protection, what we do is we help make sure that people don’t die broke in a nursing home. We want to make sure that they don’t run out of money and options before they run out of breath. And one of the most devastating things that can happen is that people become unprepared for long-term care costs and what would happen if something happened to them unexpectedly. So we’ve been able to focus a lot of our practice in that area. We work with seniors who are concerned with the cost of long-term care. They want to make sure that they can protect things, protect their home, protect the nest egg in case something happens to them. And then we also work with children who are helping to manage their parents who are going through long-term care issues. Now, when we talk about long-term care, a lot of people don’t understand what that is. But we’re looking at folks that require some routine help in order to get on with life; they call them activities of daily living. But they are having issues taking medication or eating or being able to move around, dress themselves, bathe, use the toilet facilities. Those folks, when they need help on a regular basis, like they need somebody inside their house, or they need to move to an assisted living facility or a nursing home, that cost can be incredible. We’re looking anywhere between five to $12,000.00 per month depending on the level of care. So the rules that are set up don’t allow for people just to get help to pay for that. Most folks have to use their own money and all of their own money, nearly all of it, before they get any help along the way. And so a lot of devastating things can happen to them; like they can lose their choices on the kinds of care that they can have. If they run out of money too early, then the nursing homes that they have as their available choices are not as great as if they were able to save some money and better budget. We have VA benefits that people could qualify for, but they need to be able to do some planning ahead of time for that. So when I talk to those family members that are facing those types of issues, that’s the long-term care that we’re talking about. And we’re really trying to make sure that their assets are set up in a way that they’re protected as much as possible because the rules not only require impoverishment of the person who is sick, make sure that they are just, basically, out of money, but it also requires impoverishment of their spouse. So when we take a look at making sure these assets are set up the right way, we’re making sure that that healthy spouse isn’t left with no money to maintain their life. I mean, the only crime that they had was to marry this person and stay with them for 40 years. Geez, wasn’t that punishment enough? Now that they’re sick, they’ve got to be poor, too? So for those reasons, we have a lot of expertise in working with these seniors that are concerned about how that would impact their life, as well as the family members. Now, I’m on a big mission in my law practice because the sooner that I can get in front of folks, the better that we can help protect those assets. And I wish that I was more successful in meeting these folks earlier. Because as it turns out, the majority of the practice, the majority of the people that we see on these elder law issues tend to come in the moments of crisis where what we’re doing is we are meeting with their son or daughter after they’ve gone into a facility, and they’ve gone in and said listen, I need to meet with you because mom’s gone in the nursing home, and I need to protect as much as I can because I’m paying ten, $12,000.00 out per month. Those are the majority of people that we meet. So in doing this show, my hope is that we can get out in front of these issues and help more people protect. Because the sooner they meet with somebody like me, meet with an elder law attorney, meet with an estate planning attorney, the better their options are gonna be. So that’s one area of my practice, and we’ve been doing that for, like I said, for about 10 years, and I’ve been in practice for 15 years, and we are limited in the number of cases that we take. We probably take somewhere between 120 to 150 cases a year, and that’s it. We can’t do any more than that. So if you’re interested in talking to us about it, you can call us at 609-818-0068. But for the most part, we’re not gonna be able to meet everybody that needs that help. So this radio show is gonna help spread the information that will get people prepared to deal with these issues and really kind of understand how to marshal their assets, protect the things that they’ve got, make sure that they’ve got all their legal ducks in a row. Now, some of the stuff that I’ve done in addition to this show to help do that is I’ve written a book. So if you go onto Amazon, or if you go onto iBooks, you’d be able to go ahead and look for a title called Make It Last, How to Get Your Legal Ducks in a Row; How to Get and Keep Your Legal Ducks in a Row. See, I don’t even know the title of my own book. But from that Make It Last title is where we get the title for this show. So you can go into Amazon, but I can tell you that one of the things that we’re gonna do is every week or so, we’re gonna go ahead and give away a certain number of books. And so if you go to makeitlastradio.com, and you search for the free book offer, you will be able to, if you’re one of the first 20 people, be able to download a free copy of that book. You just pay for shipping and handling, and we will send that out to you as my gift for being a great listener of this show. And I just don’t do legal work; I also have a financial services business. I am a certified financial planner. And so if you don’t know what that means, that designation comes after you’ve demonstrated enough experience, education, ethics and taking an exam demonstrating expertise essentially in six different areas. Now, the six areas are education planning, retirement investments, insurance, estate planning – I’ve got to fess up. The estate planning section wasn’t all that difficult for me, but the other ones were a little bit harder. But we passed that exam. It’s a nice 6-hour exam, and then after that, we get this credential that says we’re certified financial planner which is one of the most premier designations that you can have. And that business, really, was grown out of people who came to us and said we trust you a lot with this legal stuff, and we want you to be able to help manage our assets along the way. We want to make sure we get the best advice, and we want that to be on an objective basis. So can you talk to us about what we need to do? And so when we started this company, we’re able to help people manage their assets, invest, look at insurance solutions and just make sure that all of things line up the right way because there’s a lot of miscommunication that was happening. We would get some legal plan in place, and it turned out that afterwards they’d gone back to their other advisor, and their other advisor didn’t know how to set up these things so that it worked with their legal plan, and we had an oops a little bit later. So now, families come in, and if they want us to help on the financial side, it’s not a requirement of the plan, but certainly, we are available for that and again, limited basis. So if you’re interested, you start with the legal side, talk to us about that, and then we can talk a little bit about the financial side. Now, I wish that I could spend more time talking about what I do, but the other part that I’d like to share with you is that I’ve got some family that are here to support me. I have a wonderful wife; she’s a school psychologist for a local school district, and she works at the high school level for that. So she gets to help kids who are dealing with these last high school issues; how to get off to college and how they manage and a little bit more of adulthood. So she’s really helpful and instrumental with that. And together, my wife and I have three boys, and they are 13 years old and in seventh grade, 10 years old and in fourth grade, and 4 years old in no grade. We like to call the 4 year old the accessory because we just drag him around to whatever we’re doing for the other two. But these boys are the light of my life. They are absolutely the most fantastic children that I have ever gotten to meet, and we get compliments all the time from other people. And I will admit to one thing which is that the 13 year old has been in seventh grade, and he is now a middle schooler. That’s about the most challenging thing that we’re facing right now because it seems like nothing that my wife and I have to say is anything that he wants to listen to. So anyway, this is the Make It Last radio show. I am so happy that you are joining us. I hope that you will stay with us. If you get the opportunity, you’ll listen live like you are now on WCTC 1450 at 7:30 in the morning; a little cup of coffee. If you can’t make it with us, you can subscribe to this online, and you’ll be able to get a new episode right into your favorite pod catcher, and we’ll talk a little bit more how to do that. So when we come back from the break, I’m gonna tell you my favorite tooth fairy story and how it relates to inflation, and we will get to Segment 2 talking about today’s talk. Just stick with us and learn about the tooth fairy inflation when we come back. Bert Baron: Hey, it’s Bert. You know, I hear a lot from people that the one asset they’re most interested in protecting the devastating cost of assisted living or nursing homes is their own home. The team at Medina Law Group can meet with you to discuss options to help protect that home, including their special home sweet home trust. It’s designed specifically to protect the value of your home in the event that you need long-term care in the future. Just call the experienced elder law attorneys at Medina Law Group at 609-818-0068 to learn more, including your chance to schedule a free consultation. You can also visit medinalawgroup.com to learn more about protecting your assets and the Medina Law Group team. For peace of mind and a solid foundation, call Medina Law Group at 609-818-0068 or visit medinalawgroup.com. Victor J. Medina: So welcome back to Make It Last radio show. We’re gonna talk a little bit today about some silly stories that are out in the news; my favorite one is it has to do with the tooth fairy. So there’s an insurance company that since 1998 has conducted a poll to determine how much the tooth fairy is leaving behind in exchange for a tooth. Now, depending on your country, you may not have a tooth fairy. They do across the world, and so they get the magical mouse. The magical mouse takes your tooth. There’s an elf, a brownie, which is kind of a form of a sprite, and then my least favorite is the tooth rat. I don’t want a tooth rat coming in to take my kids’ teeth. But they have that in other countries. Now, the going rate when they polled again was about $1.50 for the tooth. So since 1998, it was about $1.50 or so. And I will admit, I’ve got three kids, as I told you before. The 13 and the 10 year old, they’re past the tooth leaving set up now. If they’re losing a tooth at this point and time, it’s really expensive to get it back. We don’t want those teeth gone, and they’re pretty much done with the tooth fairy. But I’ve had experience with their whole mouths, and I’ve got the 4 year old coming up. I would admit that the tooth fairy in my house tends to leave whatever the tooth fairy has in his or her pocket at the end of the day. Now, in some cases, it’s been $1.00 or $2.00, and in other cases, it’s been as much as a $5.00 bill. And I will admit to you that on occasion, at least twice, at least twice, the tooth fairy has left behind a $10.00 bill. That’s an incredible amount for a tooth. Now, the nice thing about the way things run in our home is that the tooth fairy’s money – all right. So I do the financial services. We’re good about saving. We’re teaching those lessons early to our kids. The tooth fairy’s money ends up being left in a piggy bank. That piggy bank has got a secret compartment that allows me to go and grab that money out. So if the tooth fairy left behind so much money, like a $10.00 bill, just to get through the evening, dad come in and take the $10.00 out and repurpose that for the rest of what the family needs. So back to the poll, it turns out that these days, this year in the United States, the average value of the tooth was $4.66. That’s almost $5.00 for a tooth. And there’s probably 30 teeth inside the mouth. Now, you can do the math. That’s $150.00 for just doing that biological function of leaving your tooth. So that’s for the United States. Most of the other countries are around there. Maybe look at Canada and Japan and countries in Europe, Brazil even, they’re all somewhere around $4.50 to $4.60. Now, having that information, in the absence of anything else, is not helpful. So we want to be able to do is say let’s take a look at that in the context of inflation. Has the value of a tooth kept pce with inflation? So if we go back – NPR runs a show called Planet Money, and they examine this, and they posited that the tooth was worth about $0.50 in the 1970s. So if the value of the tooth had risen with inflation, it would be worth just a little bit less than $3.00 today. When we apply the inflationary cost to $0.50 from the 1970s and bring it all the way to the year 2017, the value of that tooth would be just under $3.00. So if we know now that the average value of a tooth is $4.66, it turns out that the value of a lost tooth has increased faster than the value and the rate of inflation. That means that if you wanted to go long on tooth values, you would have made a smart investment because that’s gonna outpace the cost of inflation, and you’ll have more money to spend if you had invested in teeth if that was an index. Now, there’s only one other thing that has gone as quickly. Inflation has risen as much and inflation, and that is college tuition, which is not at all surprising. I’ve got three children, three boys. I imagine that all of them are gonna get their way to college. So the cost of college right now is about $43,000.00, and that’s not the most expensive college; that’s just the average cost of a private university. And I can’t imagine what it’s gonna look like when the 4 year old gets to school because that’s 14 years away. So if I’m helping people with the retirement, retirement to me looks like a distant horizon so far away, so far away when I’ve got to get these three kids through their school and then also, at the same time, be accumulating money for assets. So in addition to the tooth fairy story, I wanted to recap something that’s been in the news. We’re about a year in our anniversary from the passing of the artist known as Prince. Remember him? He had the name Prince, then he had the name of symbol; nobody could pronounce the symbol, so they called him the Artist Formerly Known as Prince. And he suffered a catastrophic death; no one really expected him to go. He had gotten sick. They landed his private plane. He went back to his home in Minnesota and passed away. And since then, all of the news has really discussed, sort of, his failure to do estate planning. Because for somebody who had such incredible wealth, he had done nothing to put his estate plan in order. And this is pretty common. No one has a crystal ball as to when they’re going to need their estate plan. If we did, we’d know exactly when to go get that in place; go to visit a lawyer and get those documents place. But we can’t see that crystal ball. I say this to people sometimes, the whole Medicaid laws require 5 years’ worth of a lookback, so the right time to come to me is 5 years and 1 month before you go into the nursing home. Everyone kind of chuckles because nobody knows when that is. And I say my calendar’s free. If you know when you’re gonna go into the nursing home, 5 years, 1 month before that get on the calendar. I will book out as far as you know. But when we look at Prince passing away, no one really knows when they’re gonna need their estate plan. And what has happened since then is there has been a terrible amount of litigation around getting this settled. He didn’t use a trust. He didn’t use any form of organization around the estate, and so we just sort of left to probate, and we were left to sort of inefficient planning on that which has cost money and time. And one of the lessons to come from that is that the best time to do planning, obviously, is before you need it. And the planning that you need is not a once and done set it and forget it type of planning. A lot of people look at estate planning as essentially something to do on the to-do list, and as soon as they’re done with that, they’ll never think about it again. Well, geez, so much can change between the time that you sign the documents and the time that you need the documents. What’s different about your family? I mean, people have gotten married or divorced or there have been kids that have been born, new grandkids, your desires have changed, somebody passed away, and they’re no longer in there, maybe you don’t want it to go to the charities. I mean, so much could have changed about your personal and financial lives that what you set up 10, 15 years later, it’s not really what you need when the time comes. The second thing that can happen, though, is you can also get a change in the tax laws or the laws around planning. And so nobody has a crystal ball. Even your estate planning attorney doesn’t know what the rules are gonna be in the future. So one of the best things that you can do is review these things to make sure that what you set up is still consistent with the law. I’ll give you an example. We are licensed to practice in New York, New Jersey and Pennsylvania. And while Pennsylvania passed a power of attorney act that changed that format; there’s a new cover page and new way to sign it on the back. And so the old powers of attorney don’t match the new law. So the people that signed them before have something that isn’t quite compliant. And that can go on also to the state of the art; just how is planning done. Is there something better? The estate plans are not like fine wine. They don’t get better with age, right? They get stale over time. So what we want to be able to do is make sure the planning that you’re doing kind of matches that for whatever is the state of the art for what we’d be doing. So the whole idea behind doing this planning is to do it not only proactively. Right? Before we need it because that’s more expensive if you wait. But also to be reviewing it on a regular basis so that what you have is as compliant and as up to date as you can possibly do. So that’s a lesson from Prince’s estate. You want to make sure the failing to plan does not visit upon you. You want to visit with an estate planning attorney and make sure that your estate plan is in place before it’s needed. And when we come back from the break, I’m gonna tell you a story about my friend’s grandfather, his shoe box and the IRS audit. And because this is gonna be airing on April 15th, I’m gonna be sharing with you some tax tips, including my No. 1 tax tip, and you still have time. You’re listening to this on Saturday morning the 15th, you still have time, because you don’t have to file until the 18th. And I’ll tell you a little bit more about my friend’s grandfather, his shoe box, the IRS audit when we come back from the break. Stick with us. Bert Baron: Hey, Make It Last listeners. 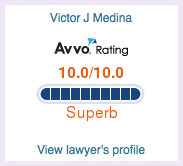 Attorney Victor Medina, founder of the Medina Law Group, wrote a five-star-rated book on estate planning. It’s called Make It Last, How to Get and Keep Your Legal Ducks in a Row, and it’s available on Amazon.com and the iBook store. This fun and easy to read book covers whether you need a will or a trust, how to know whether your power of attorney is any good before there’s an emergency, how to make sure your inheritance stays in the family and doesn’t go to that no-good son-in-law, and the 19 questions you must ask before you hire an estate planning attorney. The book is normally $20.00, but the first 15 listeners of today’s program can get it for free by visiting makeitlastradio.com/freebook. The book is free, and you pay just a small shipping and handling charge. Don’t miss your opportunity to get the very best estate planning advice for free. Visit makeitlastradio.com/freebook now to get your free copy today. Victor J. Medina: Welcome back to the Make It Last radio show. This is our tax tips for 2016 or 2017. We are in 2017. We’ve got filing for 2016, and we’re gonna talk to you a little bit about the best things that you can do because you still have time to help adjust your income taxes for this year. Now, before the break, I promised to tell you the story about my friend’s grandfather, his shoe box and his IRS audit. Now, my friend’s grandfather, he wasn’t the most detailed of tax preparing individual. He used to do it on his own, and he would write numbers in there. But he would keep everything that he had in his shoe box, all of the paperwork. He’d put all kinds of numbers inside of there, and his life looked pretty much like a mess. There was a lot of stuff going on there. The way he would fill out his tax return, though, looked a little bit suspicious to the IRS. The numbers that he was putting in there, well, they really weren’t sure whether or not they would work, and they all kind of, all looked legitimate. So he caught an IRS audit, and the IRS came in and said we want to examine your return. And by the way, come with all of your backup. So my friend’s grandfather shows up with his shoe box because he kept everything in the shoe box. He goes through the audit with the auditor. And at the end of it, the IRS ended up giving him more money. He needed a bigger refund because he had filled it out in a way that actually owed him more money at the end. So I’m not sure the auditor really enjoyed that particular audit. But it does leave me to the No. 1 tax tip that we can share with you which is that you want to collect as much of your documentation that you have. When you fill out your tax return, sometimes the easiest thing you do is take all of the paperwork and throw it at the tax preparer, and they’ll put it all together. But you want to have backup for everything. This is not he time to be putting numbers in willy nilly. So you’re gonna have sources of income, and those sources of income might come in the form of a W-2 if you’re still working and getting wages. It might come in the form of 1099s. If you have investment income, if you have IRA distributions, you’ll get a 1099 showing where your sources of income came and how much is gonna get reported. You may even get a Schedule K-1 if you’re part of some partnership or if you have some trust assets that you get distributions for. Now, all that is is paperwork and documentation that gets shipped to the IRS. So if you’re getting a W-2, that has been filed with the IRS by your employer. If you’re getting a 1099, the brokerage firm has gone ahead and filed those 1099s with the IRS and the same thing with the Schedule K-1. Schedule K-1 comes from a partnership return. The IRS has a copy of that. So the first thing we need to do is make sure that those numbers match because the IRS – do you think that there’s somebody there? A human being looking at your return and trying to match it up? No, of course, there’s software that’s driving this. They’re gonna look at your Social Security number, and they’re gonna look at the 1099s that have been issued, and it’s very easy for them to match it up. So the No. 1 way you can catch an audit is not to have those numbers match up. You cannot fail to report income sources along the way, especially when those income sources are essentially backed up by other filings already with the IRS. So you’re gonna get those income sources, which are also gonna be looking to take deductions, whether they’re property deductions, credits that have to do with child care or other things. You’re gonna be able to take that. But what you need – medical expenses – what you’re gonna need is you’re going to need backup for it. And the IRS has the opportunity to go back 7 years on an audit. So you’re gonna want to keep, I don’t know, seen shoe boxes and label them so that you can keep them for every year. But keeping your documentation is the best way that you will be able to demonstrate to the IRS in the future that you have filed your taxes correctly. Now, I mentioned that you still have time for these tips because normally, tax returns are due on April 15th. But in this year, in 2017, the tax returns are actually not due until April 18th. So if you’re listening to this on Saturday morning, you have almost 4 full days to take advantage of some tax planning before you have to file it. Right? You have to get it postmarked in or electronically submitted by the 18th. At the close of business, if you’re gonna mail it, or they’ll actually go all the way up until midnight if you’re gonna file it electronically. You don’t want to wait for the last minute, but you do have some time to do some tax planning. If you’re not able to file your tax returns on time, you can file for an extension. And in fact, the IRS will give you an automatic 6-month extension, and people know that that brings them to October. But here’s the trick. You cannot escape the income taxes that you owe. So if you owe income taxes as of April 15th, and you don’t pay them, the IRS hits you with some penalties, and they also hit you with some interest for unpaid. So the best thing that you can do is you can go ahead and send a check with your extension paperwork so, at least, you can lock them in. Now, nobody likes to pay taxes, and certainly, nobody likes to overpay taxes. But this scenario where you’re not filing the return yet is a perfect one to overpay the IRS and then request the refund when you actually file the return in October. Now, we don’t want those penalties. Those penalties are a percentage of the tax owed, and then the interest is another percentage on top of that. And so we don’t want to get caught with that, and so it’s easier just to send that money out ahead of time. Now, second tax tip is you can still continue to make some eligible contributions for IRAs, Roth IRAs and health savings accounts. Now, this is different than 401Ks. So if you were somebody who had a 401K that was available your job, right, the deadline to do that was last year. You needed to get those contributions done by December 31st. But if you are eligible to make contributions to a traditional IRA or if you’re eligible to make a contribution to a Roth IRA or if you’re eligible to make contributions to a health savings account, those you can make up to the deadline of the filing of your return. So you have until April 18th to do that, and that’d be one way to reduce the amount of taxable income that you have. **** should make those contributions if they are deductible. And Roth IRA contributions are not deductible. But if you make a contribution to a traditional IRA, and it’s a deductible one, you will, in fact, be able to do that all the way up until April 18th and have that come off, and that’s okay to do. Now, the third tax planning tip really has to do for next year because the best tax planning that you can do is what you do ahead of time. So we’re already in 2017, and we are 3 months into that year already. But we have another 9 months to get ourselves in great shape for the next planning year. And one of the savviest tax planning tips that you can take advantage of is proactively managing your income tax return. Now, this is a little complicated, but you do understand there’s these different brackets there; 10, 15, 25 percent brackets. Well, most people go through life under utilizing those brackets. They’re afraid of paying taxes, so the least amount that they can pay, that’s what they’re gonna do. But if they thought about it a little bit more, there’s actually some money that they can take out right up to the top of that tax bracket. If you’re married, you can take up to $75,000.00 and not pay any more than 15 percent. That’s a great tax bracket in retirement. And in fact, for a lot of people, that’s a better strategy than waiting for one of the spouses to die and having all of that money go over into the surviving spouse’s name, and then they have to file single. And when they start filing single, that means that they’re at a higher bracket faster. So proactively doing that income tax planning is definitely something that you can take advantage of before December 31st. These are things to do before the end of the year, and you’re gonna need to manage that a little bit more. Now, I talk about the proactive income tax planning in my second book called Make It Last, How to Ensure That Your Nest Egg is Around As Long As You Are. And you’ll be able to ­if you want, you can purchase that at Amazon or iBooks. But that talks about this proactive income tax planning, and it illustrates it with some numbers. So planning for the next year is probably the last thing that I will leave you with. And before we end for today, I just want to thank you for listening to our inaugural show. I hope you stick with us. If you want to get this into your inbox, as soon as it comes out, I urge you to go to makeitlastradio.com and subscribe to the feed. It will be available on iTunes, your favorite pod catcher. And if you can’t join us live on Saturday mornings at 7:30 in the morning, if you can’t join us at that time, you can have that in your inbox and listen to it at your leisure. Stick with us, and I’m gonna have a lot of fun doing this radio show. Thanks for listening to Show No. 1. We’ll catch you next week with Make It Last Radio with Victor Medina. Announcer: The foregoing content reflects the opinions of Medina Law Group LLC and Private Client Capital Group LLC and is subject to change at any time without notice. Content provided herein is for informational purposes only and should not be used or construed as investment or legal advice or a recommendation regarding the purchase or sale of any security or to follow any legal strategy. There is no guarantee that the strategies, statements, opinions or forecast provided herein will prove to be correct. Past performance is not a guarantee of future results. Indices are not available for direct investment. Any investor who attempts to mimic the performance of an index would incur fees and expenses which would reduce returns. All investing involves risks, including the potential for loss of principal. There is no guarantee that any investment plan or strategy will be successful. We recommend that you consult with a professional dedicated to your needs.